on a fine hot day in September. This is just another example of the degradation our society is experiencing. Why are these children not looking at their iPads or otherwise occupying themselves productively instead of just sitting there? Next thing you know these kids will want to take a useless walk instead of going to the mall and shopping. 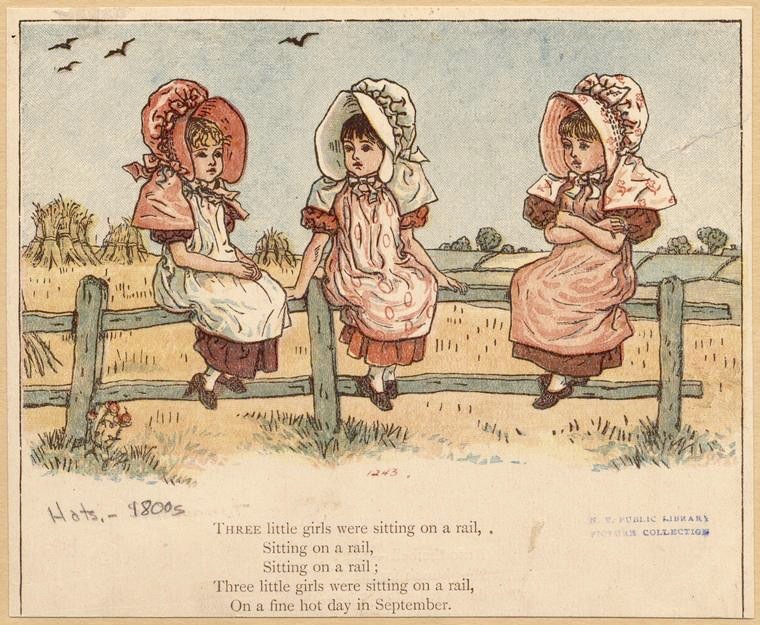 From “Under the Window” by Kate Greenaway, 1910. Tags: relaxing. Bookmark the permalink.